I guess I never realized that Paul was such an avid tennis player until these photos serviced. Who knew? 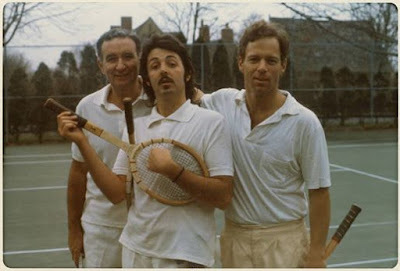 I didn't know he played tennis either... and thanks to Anonymous for posting, I had no idea who the two gentlemen were. 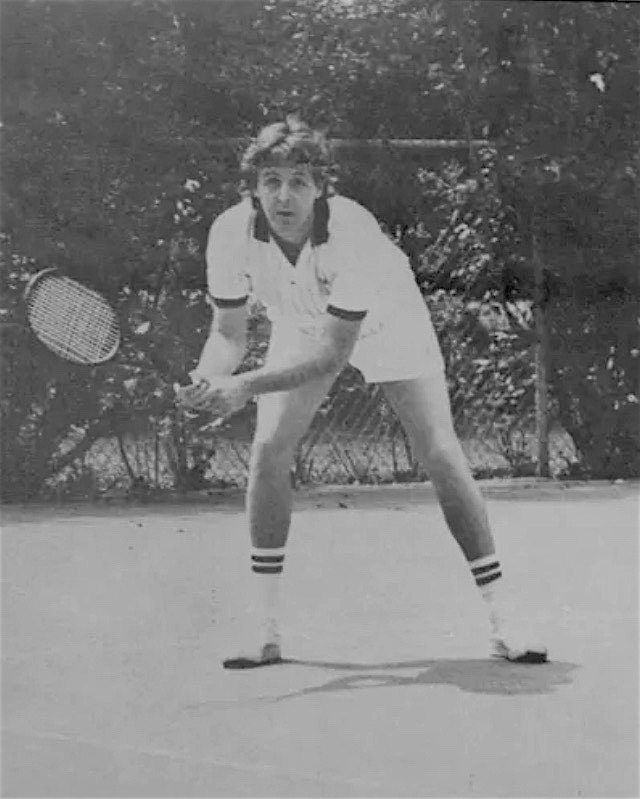 One thing I find disturbing about Phillip Norman's new book about Paul is his description of Paul having legs that are so hairy, he hires someone to comb them for him (I should say I haven't purchased it yet so I'm going on some reviews I've read thus far). Why he would write something like that when there is so much photographic evidence to the contrary is beyond me.